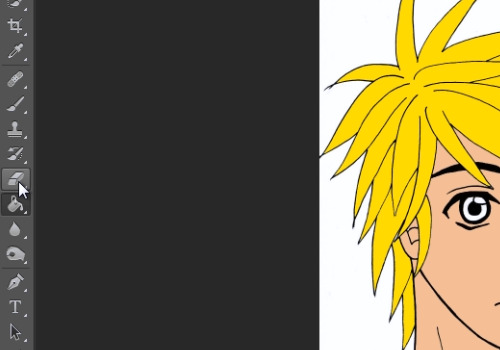 In this video tutorial we will show you how to do color photoshop lineart. Launch the Adobe Photoshop. Go to the “File” menu, press “Open” and choose the photo you want to use. Then select the main layer and drag and drop it onto the “Create a new layer” icon to create a copy of the background. Go to select the “Paint Bucket Tool” from the toolbar. Then click on the “Set foreground color” icon. Pick a hair color from the color pallet. Then press “OK”. Go to the image and colorize the hairs with the “Paint Bucket Tool”. Then, click on “Set foreground color” icon. Pick a color for the skin from the appeared color pallet and press “OK”. Colorize the skin on your picture. Then select the “Eraser tool” from the toolbar. 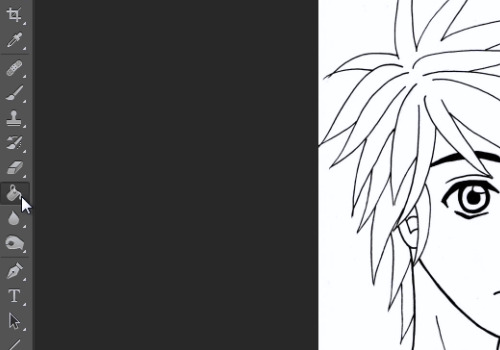 And erase the area around eyes to make it more natural. 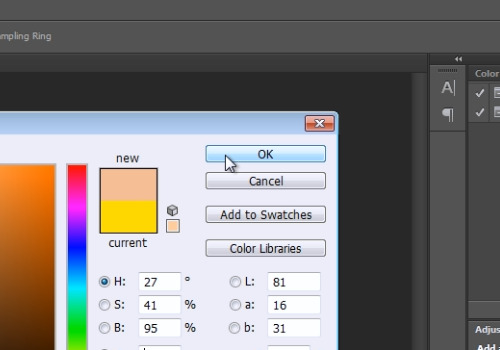 Go on to the toolbar and click on the “Set foreground color”. Then pick a color for the eyes from the pallet and press “OK”. Select the “Paint Bucket Tool” and colorize the eyes.